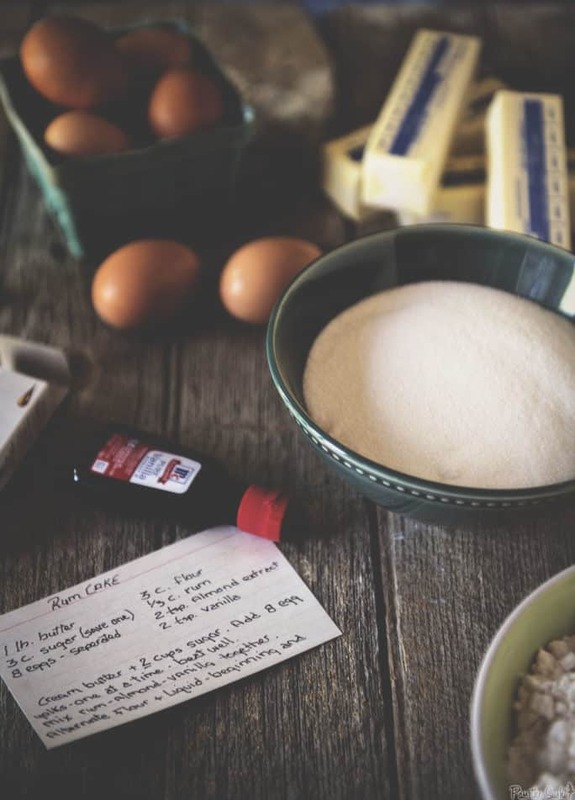 This rum cake is a special recipe that was passed down three generations to me. And with all those combined years of baking experience, it’s down right perfect. The best recipes are tried and tested. The come with notes and stains. They are on old wrinkled sheets of paper that small like a Sunday morning in the kitchen. They are handed down from one generation to the next. This rum cake is no different, a special recipe that was passed down from my boyfriend’s grandmother, to his mother, and now to me. And with all those combined years of baking experience, it’s down right perfect. 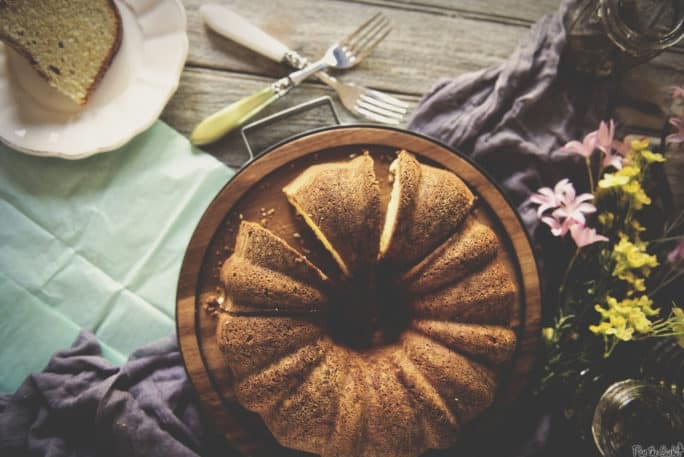 What makes a Rum Cake? Another staple handed down is McCormick vanilla extract. I can’t recall there being anything baked in our kitchen that didn’t have a bottle of McCormick vanilla prepped and ready for that final touch to bring all the flavors together. This year, McCormick is celebrating 125 years with their Flavor of Together program. The Flavor of Together program is asking the world to share 1.25 million stories about how flavor unifies and defines us across the globe. For every story shared on any of the McCormick brand websites or social channels, McCormick will donate $1, up to $1.25 MILLION, to United Way to help feed those in need. So go on, share your #FlavorStory. If you’ve tried my Rum Cake recipe, or any other recipe on passthesushi.com please don’t forget to rate the recipe and let me know where you found it in the comments below, I love hearing from you! You can also follow along for more good eats and travel tips on Instagram @passthesushi & @girlcarnivore, Twitter & Facebook. Everyone loves cake right? Sometimes the frosting can be a little too much for me. Here are some killer cakes, without the solid sugar coating. Preheat the oven to 350 degrees F. Grease an angel food cake pan, or three loaf pans. In the bowl of your stand mixer, fitted with the paddle attachment, cream the butter and 2 cups sugar on high speed until light and fluffy, about 1 - 2 minutes. Scrape down the sides as needed. Add the egg yolks one at a time, mixing until combined. In a bowl, whisk the rum, almond, and McCormick vanilla extract together. Add the flour alternating with the rum mix to the butter in three batches, beginning and ending with the flour. Set aside. In another clean bowl, whisk the egg whites with a whisk attachment over high speed. Gradually sprinkle in the remaining 1 cup sugar. Beat until soft peaks form. Gently fold the butter batter into the egg whites until no streaks remain. Pour the cake batter into the prepared pan(s) and bake until a toothpick inserted in the center comes out clean, about 1 hour 20 minutes for an angel food pan, or 55-60 minutes for loaf pans. Let cool in pan 20 minutes before turning out. Cool completely and serve. I briefly considered making a glaze, a compote, or adding a heaping pile of ice cream to this cake for photographs, but truth is, it doesn't need it. It's pretty darned good all naked and by itself. Handsome's grandmother, to his mother, to me. This is a sponsored posts by the folks celebrating their big 125 over at McCormick. However, the thoughts and opinions expressed are my own. Love the hand me down recipes. The ingredients are simple and the quality of them shine through. 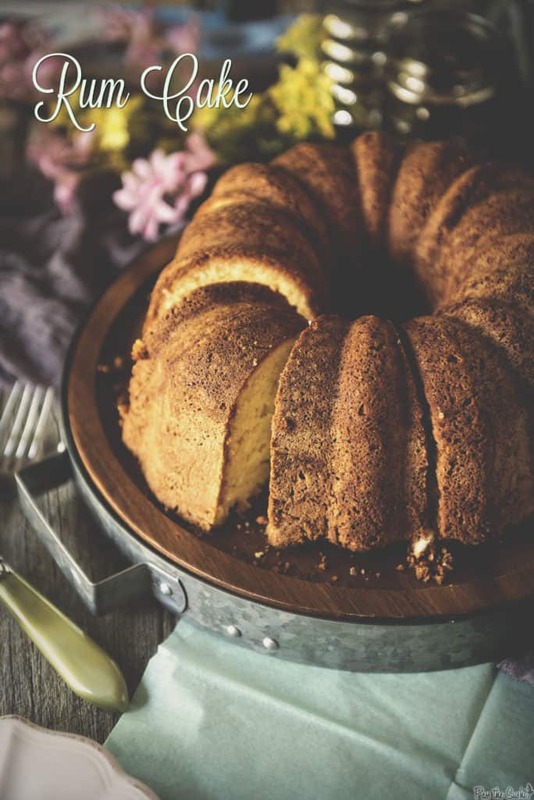 Our family recipe is a pound cake that we serve with fresh fruit. Those that ask for the recipe think I’m holding something back from them, but they don’t use the quality vanilla which makes all the difference. I love making a pound cake with a lemon glaze on top #FlavorStory. I love this recipe so much!! So yummy – and lovely for Mother’s Day! I too remember my grandma and mom always having a bottle of quality vanilla extract in their spice cupboards when I baked with them. I enjoy being frugal but I will not skimp on the really good vanilla extract because it really does make a difference in taste. When you make a dessert, you do it SO well! 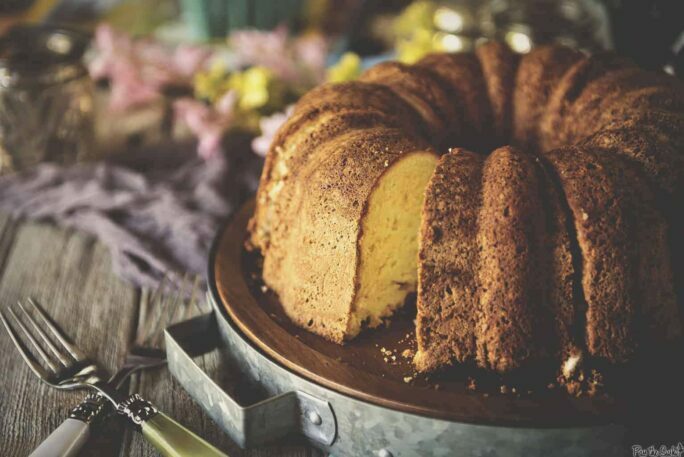 Nothing better than a simple bundt cake…quality ingredients make all the difference. My family would love this…they never refuse my offer to bake a cake.